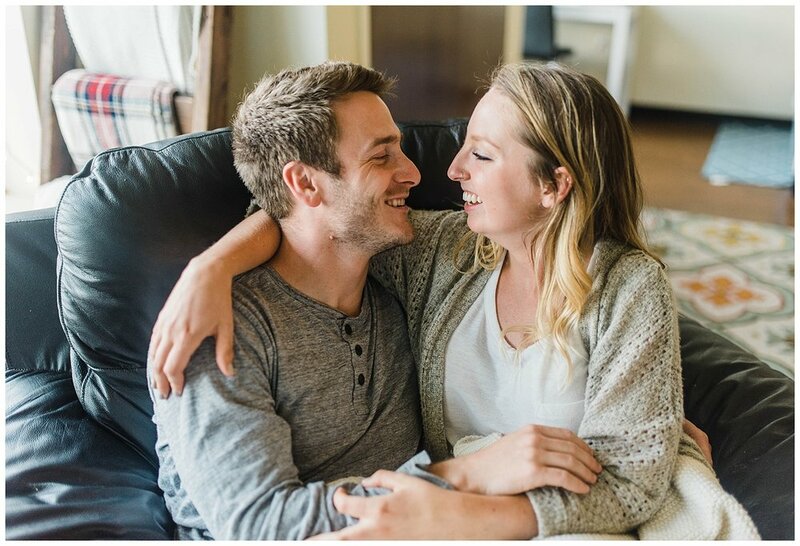 I've been really excited to share this lifestyle session of Tanner and Kayla because 1) I ADORE THESE TWO 2) I LOVE lifestyle sessions!!!!!!!! and 3) I get asked about lifestyle sessions a TON so I wanted to take the time to explain them a little more and give you a little more insight as to why I love this type of session so much! First, I wanted to just say: Tanner and Kayla live in an incredible RD apartment at Liberty University that is on the tippity top floor of one of the tallest dorms on campus. They have floor-to-ceiling windows on one of their walls, which is really a photographers dream. The lighting that day was so incredibly warm and in post-processing, I wanted to keep it that way because it was just really authentic to the emotion and style of this session. These two are incredibly loving, patient, kind, and such an inspiration to me in a million different ways. 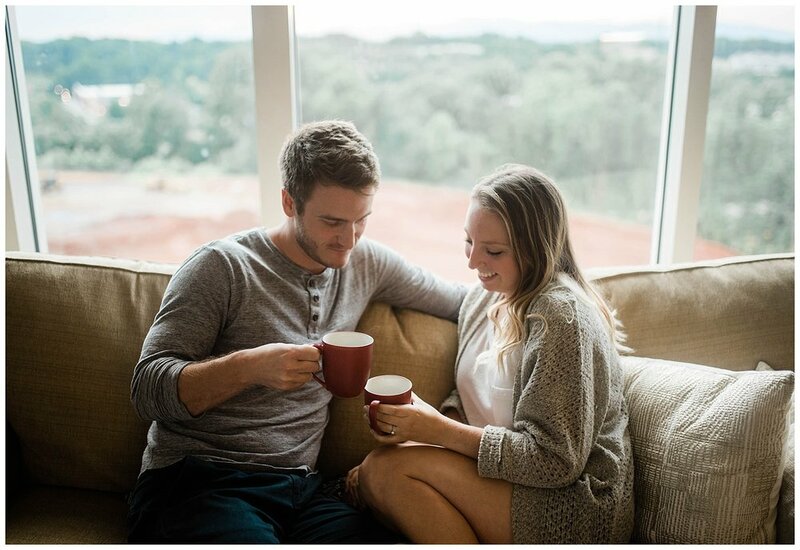 They love drinking coffee and snuggling up on their couch to watch the warm sun set over the beautiful blue ridge mountains! I will always cherish these friends, this session, and these photos. 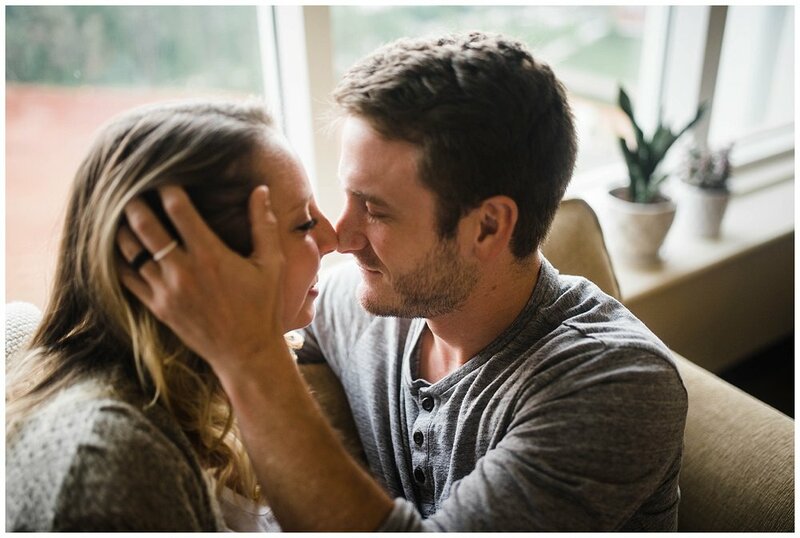 Lifestyle sessions are meant to be photos capturing what life looks like for YOU. Because of this, every session is different! 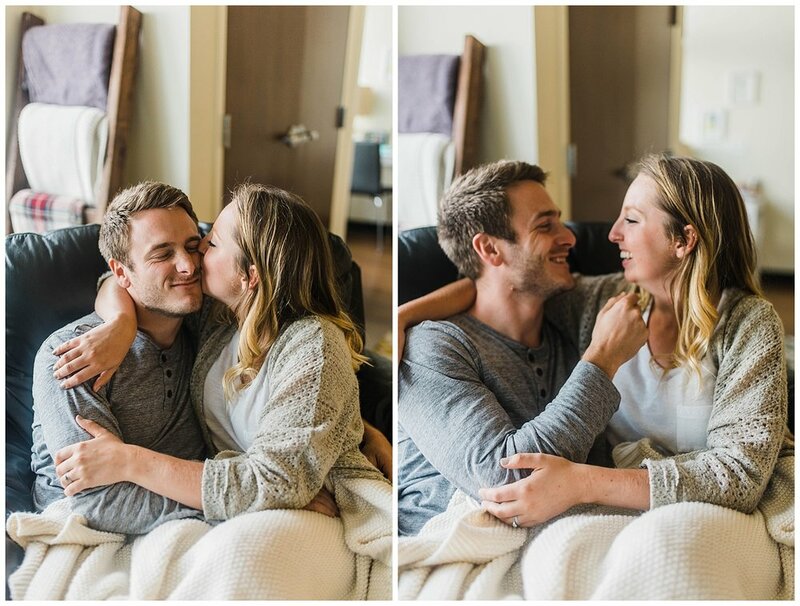 These photo sessions are either taken in a space you + your significant other/family live in like your home or backyard - OR - sometimes even a place you love to go: like a soda pop shop or a park you frequently picnic at. -- Baking cookies with your kids or playing in your play room, playing board games, working in your garden, anything you love to do with your children! 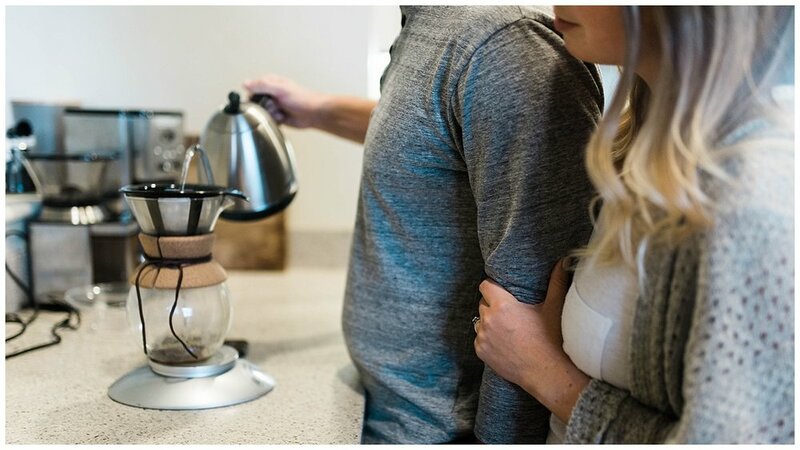 -- Working on your craft, hanging with your dog, making cold brew... anything you love doing! If you're a lifestyle blogger/instagrammer, this is definitely for you! I LOVE these sessions because it allows me the opportunity to really see people in their element. 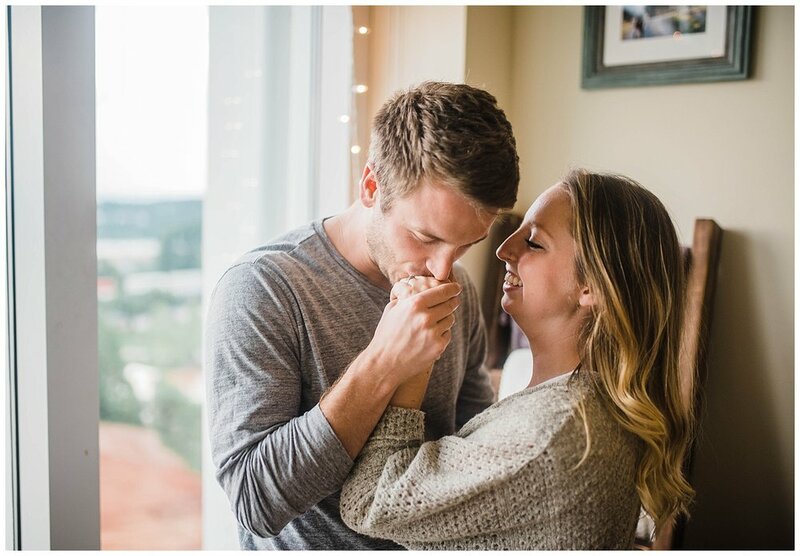 These sessions allow me to get in on the action and take photos that are imperfectly perfect because the point isn't for me to pose and make people stay still, but to capture the action and authentic emotion taking place. There is ALWAYS a place and time for posed photos, but it's so stinkin' cool to just capture real-life, raw moments. It's so incredibly fun for me and allows me to get to know people in a different type of environment with a different type of depth. I'll be offering Lifestyle sessions on weekday evenings in July, August, and September and would LOVE to take photos of you/your significant other/family/anybody! Feel free to shoot me an email at: hello@alysprecher.com - - - I can't wait!! 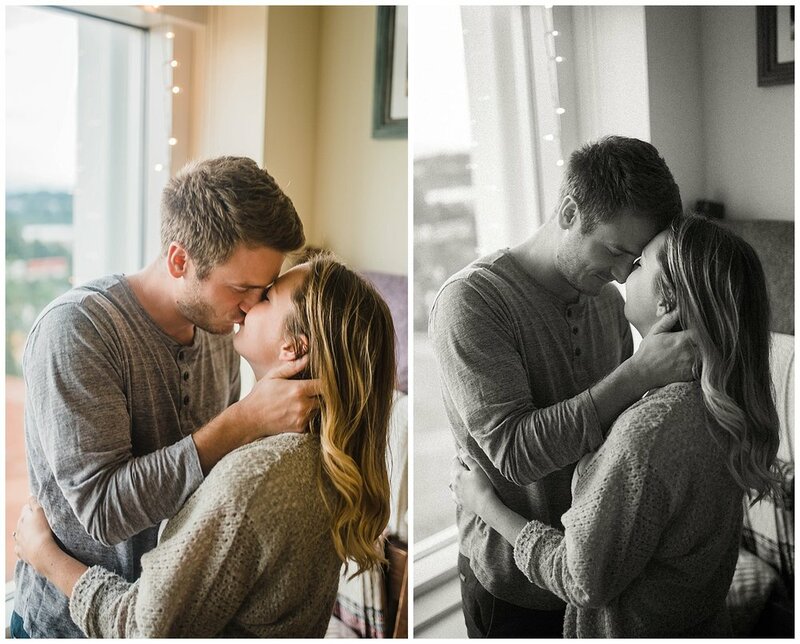 Here are some of my favorites from my time with Tanner and Kayla!